This essay is on a business simulation for Tim’s Coffee Shoppe. This is a final assignment for course AB 298: Associate’s Capstone in Accounting. 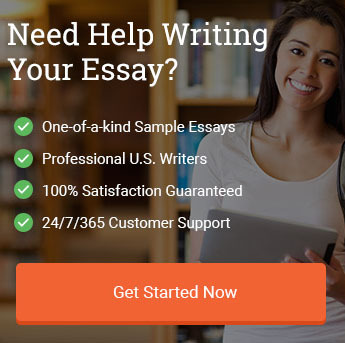 This example essay was provided to a students in Kaplan University to assist them with completing their own paper. This section provides an overview of your findings. This section should be no more than half a page at the most, but a paragraph that is about 6-8 sentences is about the right length. This summarizes everything you wrote about in your report. This is also the conclusion for your report. If a business person did not have time to read an entire report or business plan, the Executive Summary should be the overview of the information. Provide a paragraph or two regarding what you observed concerning Tim’s adherence to regulations. Identify the impact that at least 4 Federal laws and 1 state law have on Tim’s Coffee Shoppe. Provide a detailed summary of the overall management area of the business. Then describe any strengths and weaknesses. Based on your analysis, tell Tim what you recommend. Your recommendations should contain detailed directions of what needs to be done and when. Also, you should defend your recommendations by providing references that support your ideas. Address: the vision statement, short term and long-term goals, federal and state compliance issues, and social responsibility considerations. He may or may not be following some of these. Provide a detailed summary of what you observed in this particular area of the business. Describe any strengths and weaknesses. Look in the files in the back office at all of the employees. Are they valuable? Do Tim’s employees need more training? What other issues did you notice in the employee files? Based on your analysis, detail for Tim what needs to be done and when to improve this area of the business. Also, you should defend your recommendations by providing references that support your ideas. Provide a detailed summary of what you observed in this particular area of the business. How did he advertise? What new ideas can you think of for ways Tim’s Coffee Shoppe might want to advertise? Who are the customers and what is their feedback? How can he gain new customers. Provide a SWOT Analysis detailing the external threats and opportunities and the internal strengths and weaknesses. Provide a detailed summary of what you observed in this particular area of the business. Look in the drawer labeled “Business” and the information and draw some conclusions about the economic environment of Tim’s Coffee Shoppe. Discuss the Economic environment and impact on Tim’s business. Use your accounting and finance knowledge to interpret the Balance Sheet and the Profit & Loss statement. Explain what Tim should do based on your understanding of the financial picture. Give five recommendations on what Tim’s Coffee Shoppe can do to improve their business. Tim’s Coffee Shoppe is a locally owned independent coffee business and a comprehensive market analysis and strategic planning exercise was conducted to determine its market position, as well as any internal or external issues that might be affecting the company’s growth potential. An overview of the findings is included in this report that includes several recommendations such as adding a modern point-of-sale (POS) system that can handle order management and accept modern forms of payment (credit/debit processing); a system that could also handle employee scheduling would be a useful function. It is also recommended that Tim invest some capital into remodeling the customer area as well as cleaning up the storage and break areas. Tim’s operations has many points of differentiation compared to its larger competitor, but Tim should more effectively highlight these advantages and take advantage of the opportunities this plan outlines. Tim’s adherence to regulations seems to be mixed. One instance that was noted was that in the break room the mandatory employee posters on the bulletin board were covered by random pieces of information. Another potential violation would be found in the storage room in which coffee beans are being stored on the same shelf as insecticide. However, at the same time, the records regarding the employees and the financial information seems to be in relatively good order. Tim’s Coffee Shoppe has not modernized its operations in terms of payment processing and order management. Multiple customers have had their bills be incorrect and the customer feedback clearly reflects this fact. This is clearly a management issue and the payment processing and accounting systems could be easily modernized to improve operations as well as customer satisfaction. Tim should work to clean up and organize both the employee break room and the storage room to ensure that they are in compliance with both human resource laws and regulations, as well as safety and sanitary issues that are present. Although there seems to be adequate documentation for the record keeping, the process could be modernized to make it easier as well as more accurate; especially regarding a POS system that includes credit/debit processing. The coffee shop has two full-time employees and eight part-time employees. Most of the employees seem to be more than content with their positions overall. However, there are a couple employees that are unhappy and one is even planning to go to the competition for employment. The employee of the month program seems to be popular among the employees, however some employees feel that it may have been given to one employee more than others (Elana). Other problems noted have been related to dependability and switching shifts without notifying the management. The assistant store manager seems to be competent overall, but has also received multiple warnings for his conduct with customers. The warnings seem to be improving his overall performance. However, some of his issues seem to be related to his compensation and has voiced complaints. Darryl Cano might be one of the biggest causes for concerns given that he is the assistant manager and a full-time employee who has had a number of warnings regarding is treatment of customers in the business. While he seems like a valuable employee overall, it is likely that he needs more training overall to improve his customer service skills. Another possibility would be to give the managers some form of performance-based incentives, or negotiate new salaries, to continue their professional development. Providing fair and equitable compensation can serve as the backbone for an effective human resources policy that creates high levels of employee satisfaction and reduces employee turnover. Research has indicated that equity based compensation system, performance appraisal system, effective career planning system and a robust employee participation in the organizations’ decisions and actions are among the key strategic HR practices that influence organizational performance (Jimoh and Danlami 2011). Tim’s Coffee Shoppe relies heavily on its location to generate a majority of its business. It has a larger competitor in the local area with several locations, but Tim’s location is more convenient to a least a portion of the local market. Other items noted is that the company has a loyalty program in which people can earn free drinks for continued loyalty. The coffee shop also offers live entertainment which seems to be a large draw for the college crowd. Tim’s Coffee Shoppe is financially stable based upon the previous year’s income statement which lists that the organization is making a net income of over seventy thousand dollars. The organization’s total assets are over forty thousand dollars and the total liabilities are slightly above twelve thousand, leaving over twenty-eight thousand in stakeholder’s equity. Both the Balance Sheet and the Profit & Loss statement indicate that Tim is in sufficient financial health to invest in improvements that need to be made in the business. For example, if Tim borrowed five thousand dollars as long term liabilities, he could easily cover a POS system and new seating. Or, another possibility, Tim could use his revenue stream to also finance such improvements. 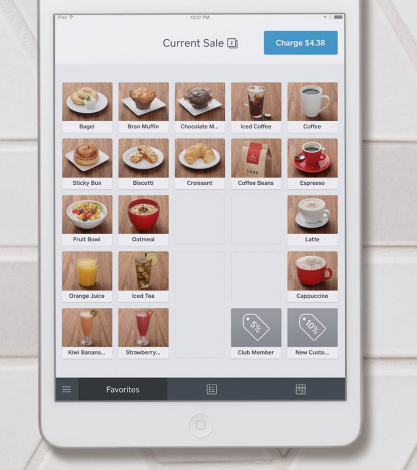 There are many affordable POS solutions on the market to handle the orders and payments in the coffee shop. Many of the systems are based upon the use of an iPad and a cash drawer that is linked to a broader set of features as well. For example, the system can easily be integrated into an accounting system but there are many more features available as well. The system researched, Square’s platform, allows the business to automatically add customers into a directory and sorts them into groups (loyal, casual, lapsed), and with our professional-looking templates, you can also send out email promoting your business in no time flat while also having the ability to track the results of your email campaigns right from your Square Dashboard (Square Systems, N.d.). Train employees on the new system and improve order accuracy. The POS system should definitely help with order accuracy and if Tim uses the module that allows email receipts then the business could get more feedback electronically through the feedback system. Train employees on customer satisfaction issues and coordination with management in regards to scheduling. The POS system could help with scheduling as well. Clean and organize both the break room and the storage areas to be incompliance with regulations and design a checklist that the employees routinely follow when using these areas. Remodel the Coffee Shoppe’s interior so that it meets the expectations of the customer base. The remodel does not necessarily need to be expensive, but the seating issues should definitely be addressed since there were multiple complaints. Other small renovations could also make the business more appealing to a larger market, and since there is significant competition in the market, these should be considered as well. "Tim’s Coffee Shop Business Simulation." Aceyourpaper.com. Student Network Resources Inc, 25 May. 2017. Web. 19 April 2019. Student Network Resources Inc. "Tim’s Coffee Shop Business Simulation." Aceyourpaper.com. https://www.aceyourpaper.com/essay/tims-coffee-shop-business-simulation/ (accessed April 19, 2019).